Mike’s mission is to help businesses keep their networks safe. The driving force behind Mike’s mission is that since we all use the Internet, it should be a safe place to work, learn and play. Being safe on the Internet is ridiculously difficult for non-technical users. This is outrageous—especially with so many businesses and home users relying on the Internet daily. Mike Foster, Certified Ethical Hacker, Certified Information Systems Auditor, and Certified Information Systems Security Professional, has delivered more than 1,500 presentations and training sessions in 49 of the 50 United States plus Canada, Australia, England, Scotland, Ireland, New Zealand, and South Africa. Multiple international organizations dub him their Number 1 Technology Speaker. Mike Foster, CEH, CISA, CISSP has consulted at hundreds of companies in North America regarding IT best practices for increasing productivity, profits and protection. He performs IT security audits and coaches IT teams in a friendly manner to establish a baseline of the IT infrastructure’s condition and go after root causes in the most economical manner. Mike helps CEO’s, owners, and executives understand and trust their IT in-house and outsourced professionals. Foster’s input and availability to answer questions helps them sleep better at night. Mike explains the most technical, in a common sense “plain English” way that even “low tech” people enjoy. Because Mike’s delivery is down-to-earth, the technical is easy to understand. Mike Foster has a wide range of high-level technology certifications; he also quickly engages even your most sophisticated tech people. 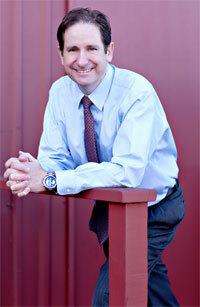 Mike Foster, CEH, CISA, CISSP is the founder and CEO of Foster Institute. More than 20 years ago he began training people to be more productive in their use of technology. He is a technology expert, author and professional speaker with more than 1,000 presentations under his belt. 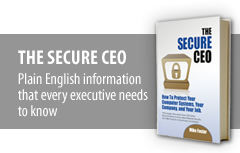 Mike is author of The Secure CEO: How to Protect Your Computer Systems, Your Company, and Your Job and is regularly sought for interviews and business publication features. He’s been interviewed by USA Today, Forbes Magazine, and The New York Times, as well as many others. Mike Foster has an uncanny ability to transform complex computer topics into something easy and understandable for the layperson. I know—he’s done it for me! “When it comes to teaching people how to benefit from the latest technology, Mike Foster is the only choice—he’s the real deal! His genuine passion for helping people shines through in every presentation. humanitarian. That’s rare among IT professionals. Contact Mike Foster, CEH, CISA, CISSP about how he can help you and your business today!